An important step in maintaining a healthy smile is to replace missing teeth. When teeth are missing, the remaining ones can change position, drifting into the surrounding space. Teeth that are out of position can damage tissues in the mouth. 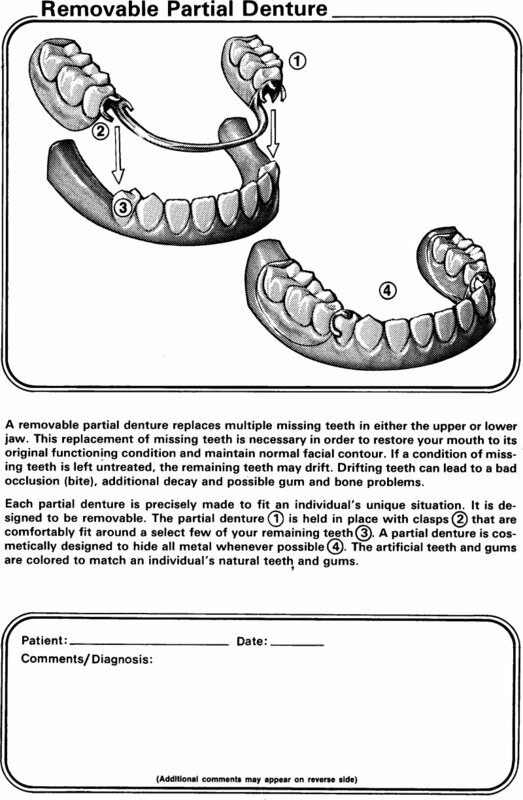 A removable partial denture fills in the space created by missing teeth and fills out your smile. A denture helps you to properly chew food, a difficult task when you are missing teeth.